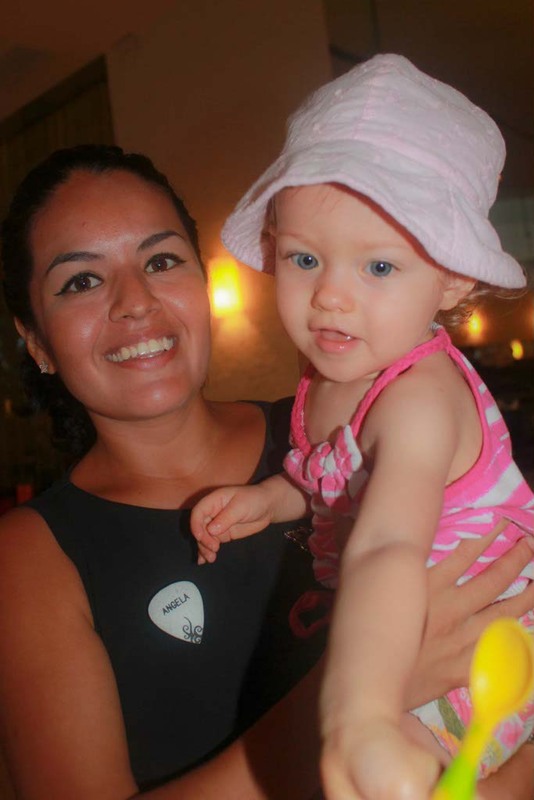 Rather than just welcoming us with a smile, the breakfast staff at Hard Rock Vallarta greeted us with a warm smile first, then conversation, a hug, a balloon for Athena, and continued kind gestures throughout the meal. I think it’s safe to say that they are officially the friendliest hotel staff I’ve met. kudos to you at Hard Rock Vallarta; you know how to treat your customers/family right. 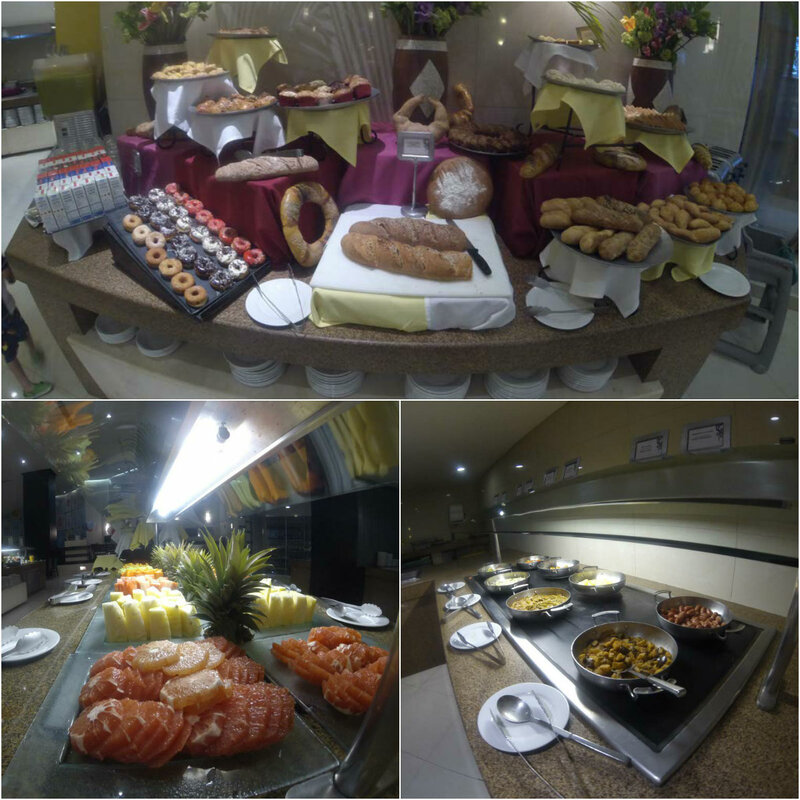 Every morning while at Hard Rock Vallarta, we had a hearty buffet breakfast of international cuisine at The Market. The food was scrumptious with choices of breads, meats, eggs, crepes, fresh fruit, juices, tea and coffee, and pretty much everything else you can dream up for breakfast. While the choices were endless and the food was a treat for all the senses, it was the staff that continued to impress us. During our first visit, we met Angela and her way with us and Athena left us talking about breakfast long after it ended. She greeted us at the door and was so kindhearted with Athena that there was an instant connection. Before our meal ended, Angela had shown Athena around the restaurant, introduced her to the entire staff (who also cooed over her like she was a princess), and gave her a balloon. I honestly believe that children are the best judge of character and Athena loves Angela. The rest of the staff were equally welcoming and doting. At one point, I dropped my fork and a member of the staff picked it up almost before it hit the floor. Another staff member asked if we would like anything special for Athena. When I asked for whole milk, he didn’t have it in the restaurant but he immediately went to another part of the hotel to get it. He then asked if I’d like a liter of milk sent to the room as well so Athena would have it at her disposal. Everyone that walked by stopped to talk to us and make sure we were completely happy. The entire staff took pride in their work and wanted to make sure we had everything we could possible need. 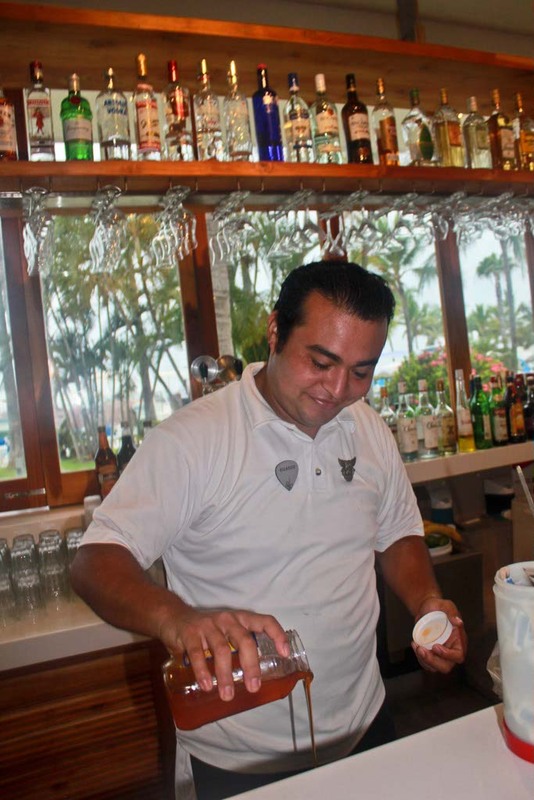 Most all-inclusive resort offer similar amenities and activities, but when the staff are an exceptional step above, it makes all the difference. With a dining staff, and the staff in general, like this, it’s easy to see why people keep returning to Hard Rock Vallarta. This entry was posted in Hard Rock Vallarta, Hotel Reviews, Hotels, Mexico, Travel and tagged bucket list, Bucket List Publications, bucketlist, Food, Hard Rock Vallarta, Hotel, Lesley Carter, Mexico, RockVallarta by lesleycarter. Bookmark the permalink. Asking you if you wanted a liter of milk sent to your room was incredibly thoughtful. It seems going “above and beyond” is standard there. Glad you’re giving them some thoughtful attention in return. Anyone “Athena Approved” deserves it! We’ve been meaning to head down to Puerto Vallarta, and then keep going. Sounds like SE Asia. I miss SE Asia. Staff does makes a difference…with the personal, involved encounters. Glad you all have such a wonderful time. Okay, you talked me into it. This is on my list. That just makes your vacation all the more enjoyable and relaxed. Love reading you visited Vallarta and that you and Athena enjoyed it!! Sounds wonderful! It might be those beautiful blue eyes your daughter has that keeps them coming back too! 🙂 Wow! She’s a cutie! And the good service, well it just makes all the difference, doesn’t it? I’m so glad you are having a great experience! What a wonderful experience. It’s a pleasure to watch people enjoy their jobs and engaging everyone around them, it’s a rare gift. A gorgeous photo. Not often that two subjects photograph so well. Sounds like a wonderful place! I will have to look into it for a future vacation! Reading this brought back wonderful memories of Brazil! People are just amazing down there, restaurant staff in nearly every place we went were exactly the same. The staff makes all the difference! My impression when I was in P.V. was that most everybody living there was happy and laid back. A very nice place to visit, tourist town or not. Looks to be a wonderful place with great people working there. Lovely experiences for you and your family.